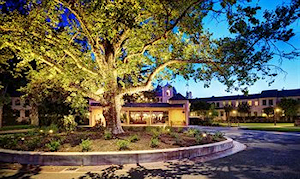 A unique and historic AAA Four Diamond Wine Country destination, The Fairmont Sonoma Mission Inn & Spa attracts visitors from around the globe with its world class 40,000 square foot European-style spa & salon, championship golf course, premier dining, and luxury accommodations. The addition of a private membership program expanded the resort’s marketing reach to include local residents and frequent area visitors; upgraded staff training programs, along with streamlined operations and updated SOP documentation, supported a consistent, high-quality guest experience. An annual marketing plan was developed, and spa retail sales were boosted from 10% to 18.5%. Consulting services were provided to improve yield management and assess properties for potential acquisition. Establishing partnerships with local community businesses, guest activity offerings were expanded to include tours of local destinations including wineries, olive presses, artisanal bakeries, cheese makers, and hiking & biking tours. Workshop offerings were enhanced with popular guest experiences such as Guided Imagery, Yoga, “Woman to Woman” and culinary classes featuring local products, adding staff positions to accommodate the resort’s growing guest and private membership engagement.